Casa Bom Vento (Portugese name for The house of Good Winds) is situated on the Peranakan land of Jio Chiat Road in a beautifully restored shophouse with Peranakan arte-facts. Here chef Lionel Chee serves Peranakan and Eurasian fare, which is influenced by the Portuguese, Malay and Indian heritage found in Malacca, Malaysia and Goa, India. The Signature dishes are the Eurasian Devil Curry, the Pan Fried Stingray, the black pepper stingray with chillies and curry leaves and the Beef Smor. 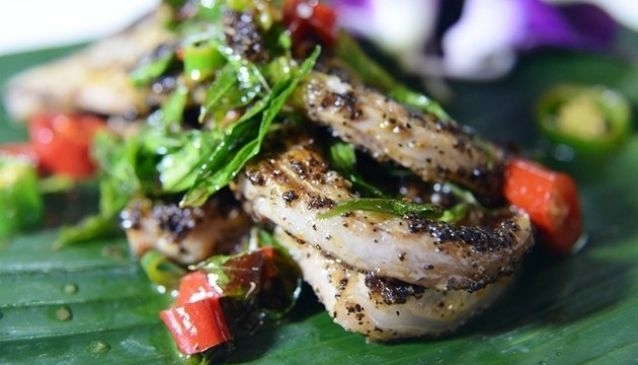 Their Ayam Buah Keluak and Baby Sting Ray with Black Peppercorn were awarded with Excellent Food Award in 2002. This is a halal-certified Peranakan eatery, so don't expect to have any pork or alcohol on the menu. You may quench your thirst with the Home Made Rose Jelly Drink with Lime Juice.